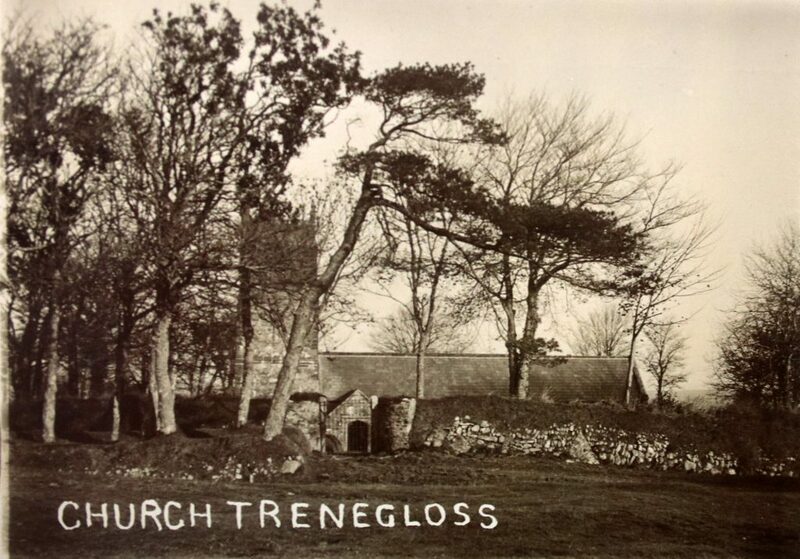 The history of Treneglos and its parish near Launceston | Launceston Then! 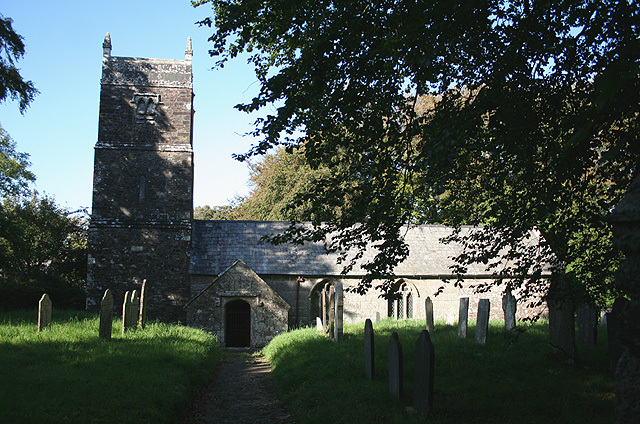 The parish of Treneglos, (Cornish: Treneglos), is situated in the Deanery of Trigg Major and the Hundred of Lesnewth. It is bounded on the north by Warbstow, on the east by Tremaine and Tresmeer, on the south by Laneast and St Clether, and on the west by Davidstow and Warbstow. Treneglos is situated in north Cornwall near the Devonshire border. 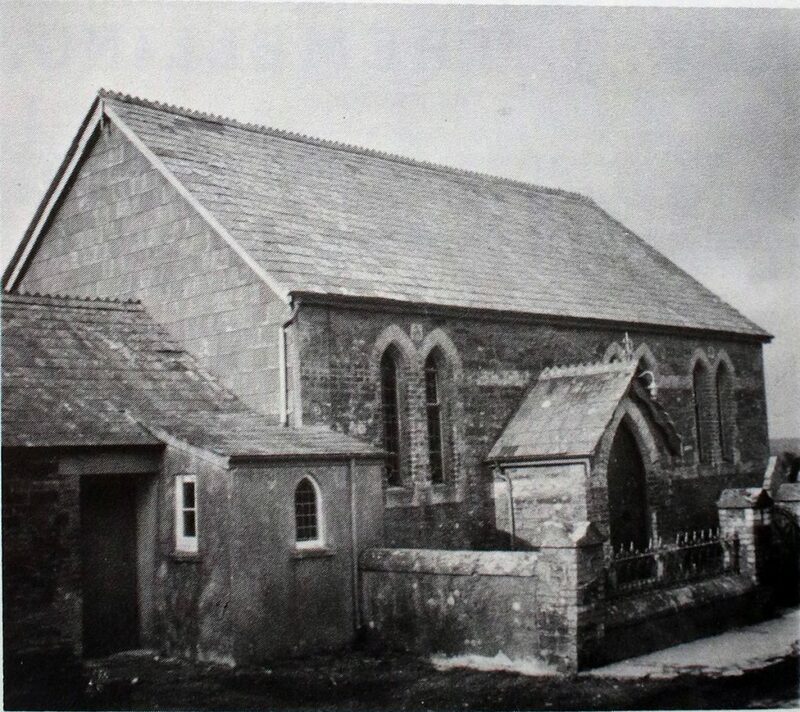 The Cornish origin of name is ‘Farm of the church’. Although Treneglos was not rated in the Domesday Survey of 1086, a reference to the church can be found in that survey. As well as the churchtown, the parish encompasses Kyrse (Cayse), and Treglith, (Treglitha). The manor of Downeckney, anciently called Donnegny, belonged soon after the Conquest to Richard, who was steward of the household at the time of Doomsday Survey; from whom it passed by descent to the Dinhams and Cardinhams. The Church is dedicated to St Gregory. The church consists of a chancel and nave, and north aisle. The entrance is by a south porch, but there is also a north door. There was a church here from Saxon times; in the Domesday Survey of 1086, the church was given to the Priory at Tywardreath. The church was confirmed to the Priory by Bishop Chichester on 14th February 1154. 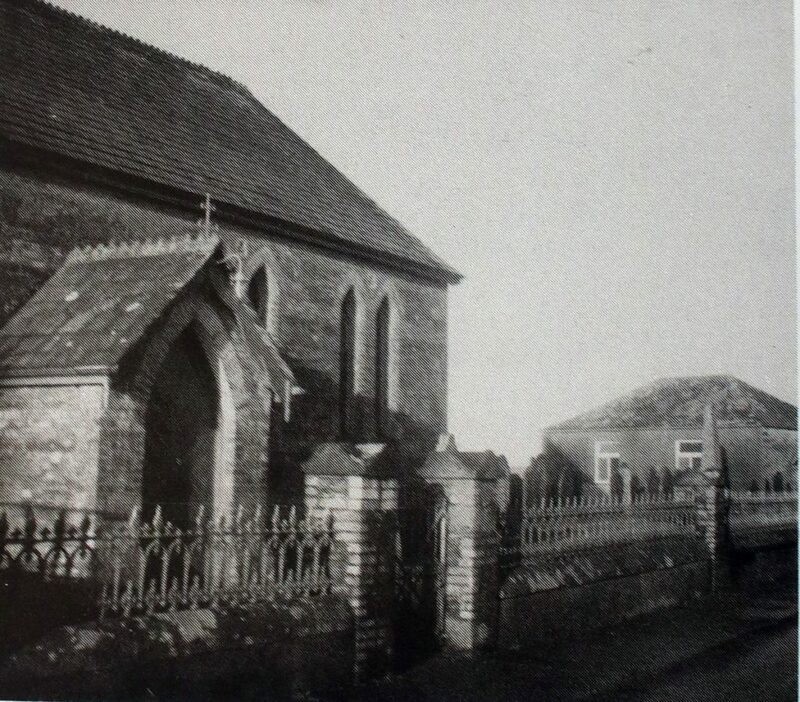 The present church was rebuilt in 1858, and the tower having become very dilapidated, was taken down in 1871 and completely rebuilt; the four bells were reused. 1634, Oct. 17, Thomas Carton. 1635, Aug. 10, John Turner. 1678, Feb. 14, Louis Stephens. 1685, July 29, Richard Scaddon. 1716, Sept. 24, Charles Porter. 1717, Mar. 23, John Harris. 1742, June 12, Thomas Searle. 1751, Nov. 28, Richard Wynne. 1759, Sept. 24, William Carpenter. 1797, Aug. 23, John Farnham. 1803, Nov. 3, Cornelius Cardew. 1804, June 4, James Holman Mason. The stone United Methodist Church (above) was completed in 1881. It is a single-storied chapel with a rectangular floor plan, window arches, a triple lancet window, porch and a gabled, slate roof. It was listed as a Grade II building on 11 January 1989. The single storied Sunday school building may have been used for worship before the church’s completion in 1881. The ruined and gutted barrow called Tregulland Burrow, when totally excavated, proved to have had a complex structure. Stake holes denoting withdrawn stakes, an infilled ‘ritual’ pit, a satellite grave containing a cremation and arrowheads, and most probably the central grave pit, were the features of the first phase of its construction. A cairn-ring, with a buttressing bank, the soil for which was dug from an encircling ditch, and its turf covering, comprised the second. 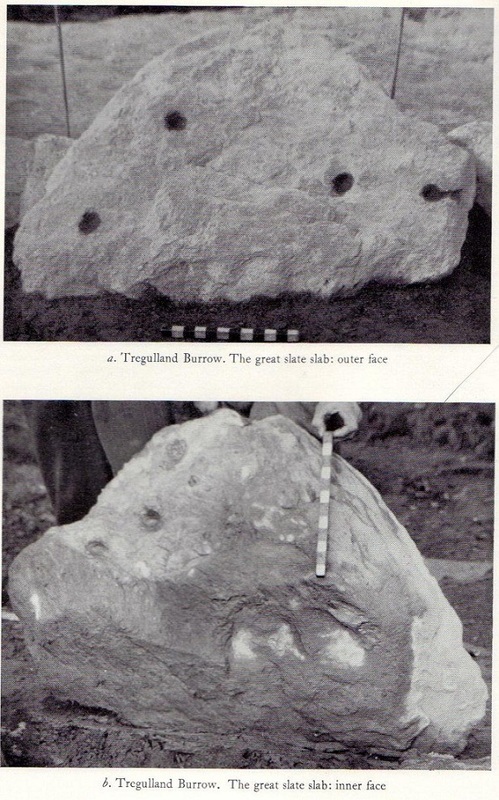 A great slab bearing cup-marks and an ‘eyebrow’ motif (below left), also other lesser cup-marked and ornamented slabs, were incorporated in cairn-ring and bank. Cup-marked stones recovered from the disturbed central area suggested the one-time existence of a stone-built grave incorporating such elements. After this second phase the barrow centre was open and arena-like, and a food vessel and a cremation were put in close by the cairn-ring. All was finally enveloped by material from the depths of the ditch. Poorly built walling or turves retained the final mound. The North Cornwall Railway line cut right through Treneglos Parish as it climbed its way up to Otterham Station from Tresmeer. There were four complete 180° curves of 30 and 25 chains radius near Warbstow and a huge embankment (the largest on the line). The embankment was originally intended to be constructed as a viaduct. Either side of the embankment are two overgrown, deep cuttings. 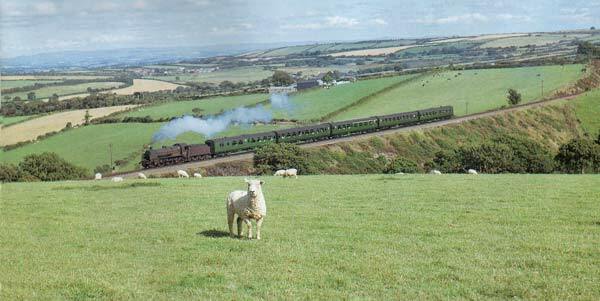 The single track railway wound its way across the contours climbing at 1 in 73 to the summit at Trewannion, a mile beyond Otterham. The line closed in October of 1966. Those that served during World War One from Treneglos. Theo was born in 1883 to Samuel and Frances Chapman at Tregenna Farm, Treneglos.He was one of nine children. His father was a farmer. On leaving school Theo went to work with his father on the farm. He enlisted in 1916 as a trooper being seriously injured in the arm by shrapnel in 1917. The same shell killed many of his fellow troopers. He was evacuated back to an English hospital and made a good recovery. After the war he returned home to continue farming at Tregenna. He never married and passed away on the 24th of February 1949 and was interred at Treneglos Church. 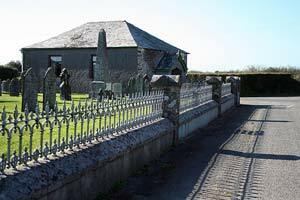 Henry was born in 1893 to Henry and Martha Spry at St. Juliott, Boscastle. His Father was a General Agricultural Labourer. 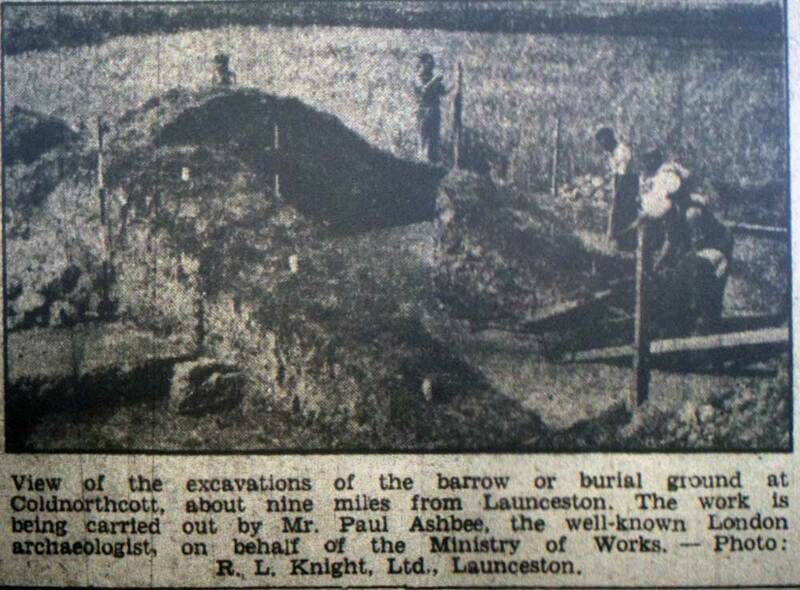 He married Elizabeth J. Smith in 1915 at Launceston. He enlisted at the beginning of the war with the Royal Horse Artillery as a Driver (Regimental No. 33117). There is little further information on his military career but I believe he survived the war and lived until 1967 when he passed away. There is no information available other than he was a Lance Corporal and joined up at the War’s beginning. There is no information on Leonard other than he possibly married Ruby W. Howell in 1915 at Launceston and that he was a Lieutenant at the beginning of the war. Treneglos Fallen from World War Two. Home Guard, 2nd. Cornwall Coastal Bn., died 12/01/1941 aged 19. Son of Richard and Alice Dawe of Otterham.